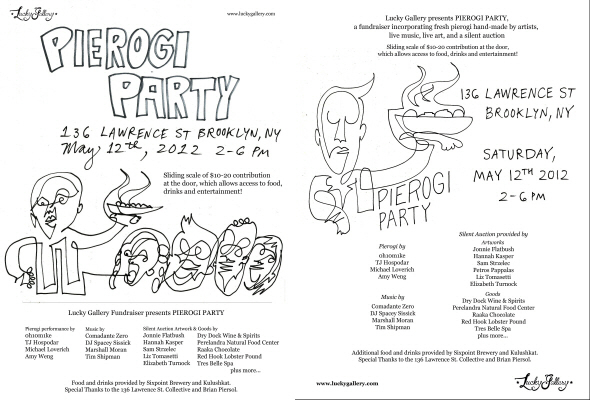 PIEROGI PARTY will bring together artists from a wide variety of backgrounds to hand-make fresh pierogi with different fillings for hot consumption and cold take-away. Each artist will be responsible for their own filling station, where the audience can watch each team as they prepare a specific pierogi (meat or vegetarian). Kitchen staff will be boiling or frying every variety for constant sampling, and audience will also be able to purchase fresh, uncooked pierogi to take home. Expect classic, traditional fillings alongside creative experimentation.